A grand jury has formally indicted Russian national Maria Butina on two charges, conspiracy and acting as a foreign agent without prior notification of the attorney general. She is alleged to have tried to infiltrate U.S. political organizations on behalf of a high-ranking Russian official over several years. At one point during the presidential campaign, she and the official tried unsuccessfully to broker a meeting between Donald Trump and Russian President Vladimir Putin. The indictment states that the 29-year-old Butina, who was arrested Sunday, entered the U.S. in August 2016 on an F-1 student visa. On her visa application, Butina stated she had been previously employed as special assistant to a Russian official, Alexander Torshin, the deputy governor of Russia's central bank, but her employment with him had ended on May 20, 2016. In April 2018, the Treasury Department's Office of Foreign Assets Control sanctioned Torshin. 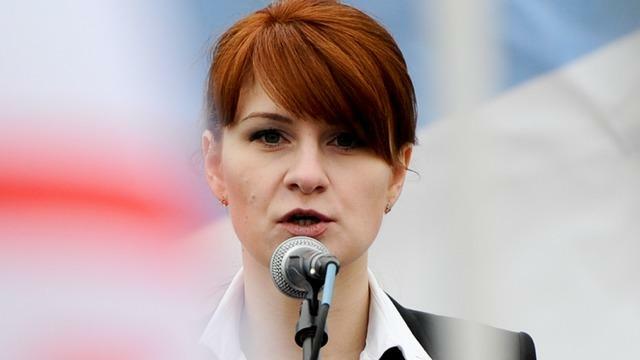 Despite her claim on the application that she no longer worked for Torshin, Butina "continued to act under the direction and control of the RUSSIAN OFFICIAL for the purpose of advancing the interests of the Russian Federation after she entered the United States." Around 2015, or even earlier, and leading up to the present day, Butina "and others known and unknown to the grand jury...knowingly did combine, conspire, confederate, and agree together and with each other to commit an offense against the United States," according to the indictment. Butina's attorney, Robert Driscoll, denied she was a spy and said she has cooperated with the government. "Maria Butina is not an agent of the Russian Federation. She is a Russian national in the United States on a student visa who recently graduated from American University in Washington, D.C. with a Masters Degree in International Relations and 4.0 Grade Point Average," Driscoll said in the statement. Sources have suggested to CBS News that the fact that Torshin wasn't charged along with Butina is a sign that special counsel Robert Mueller is trying to secure her cooperation and get her to turn on Torshin or other Russian officials.